Summary (from the inside flap of the book): Moss Jeffries is many things--considerate student, devoted son, loyal friend, and affectionate boyfriend, enthusiastic nerd. 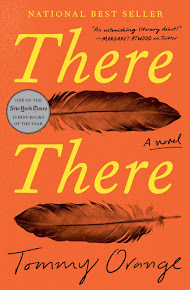 But sometimes Moss still wishes he could be someone else--someone without panic attacks, someone whose father was still alive, someone who hadn't become a rallying point for a community because of one night. And most of all, he wishes he didn't feel so stuck. Moss can't even escape at school--he and his friends are subject to the lack of funds and crumbling infrastructure at West Oakland High, as well as constant intimidation by the resource officer stationed in their halls. It feels sometimes that the students are treated more like criminals. Something needs to change--but who will listen to a group of teens? When tensions hit a fever pitch and tragedy strikes again, Moss must face a difficult choice: give in to fear and hate or realize that anger can actually be a gift. Review: I may have just finished one of my top books of 2018! This book includes so much good and well done stuff. Stuff isn't a good word for it, but I liked the characters, the setting, and the storyline. And I really like the cover, too. 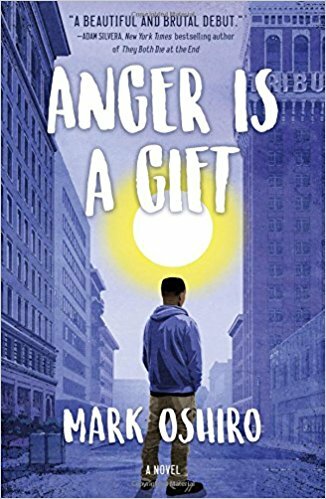 The storyline covers police brutality, poverty, underfunded public education, friendship, family, and how to find a use for anger. 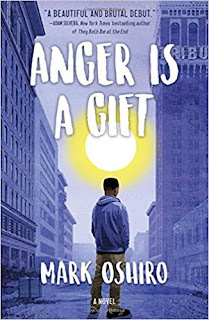 The title really does cover it: anger is a gift. When used as power and to move people to make a difference, anger can propel even the meekest to effective action. I don't want to say anything more because you need to read this book and I don't want to ruin it for you. The characters in this book will get under your skin and stay with you. They are compassionate, passionate, and just want what they deserve: safety in school and in their neighborhood. I also love that Moss and his friends cover the rainbow (pun intended) of sexual orientation, race, family situations, and religions.